Our Autumn evening meeting was on Friday October 25th at Westbury Parish Hall . Our speaker was George Peterken, recently chairman of The Parish Grasslands Project . In 2013 he has published his book “Meadows” – number 2 in The British Wildlife Collection. George spoke about the historical, biological and conservation aspects he found most interesting. The book can be bought from British Wildlife ( www.britishwildlife.com). Saturday July 13th , Rob and Jane Jarman, Elton Hay, Elton Lane. 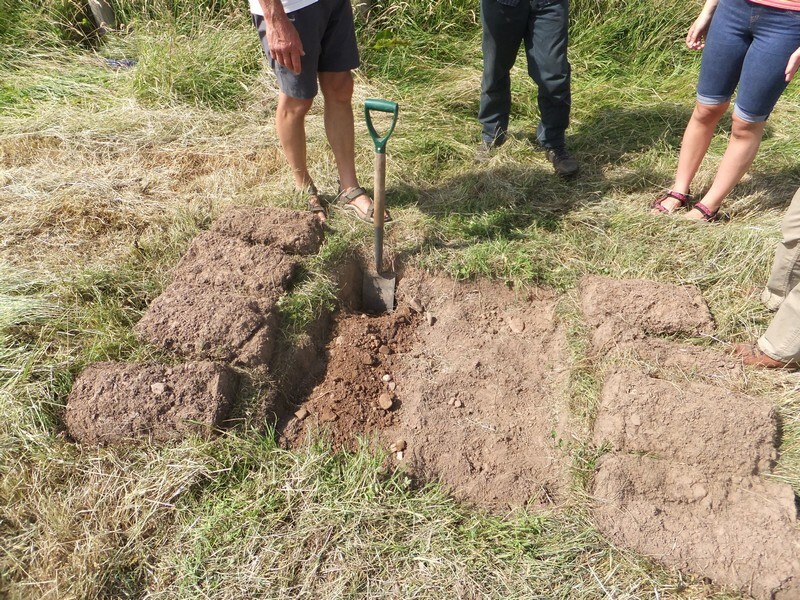 Rob & Jane’s fields at Elton Hay straddle the oldest river terrace of the Severn and sit on gravels and silty clays left by the river over 8000 years ago – yet the flora still looks like a river flood meadow! – not flower-rich, but interesting for reasons of history and geography. The meadows have never been ploughed by modern machinery. Thursday July 11th , Louise and Frank McGuinness, Brockaran Barn, Blistors Farm, Bream. Brockaran Barn is part of Blistors Farm, a working holding with a milk quota until the late 1980’s. It borders deep scowles and woodland and is undermined with iron ore workings. 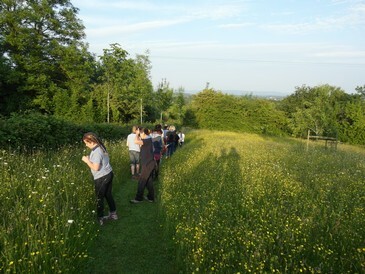 The meadow has not been ploughed since 1988 but it has only been actively managed as a wild flower meadow since 2010. In the last 25 years many trees have been planted and are beginning to mature. It is part of an SSSI for the lesser horseshoe bats. Ellwood Lodge has grounds of between 2 and 3 acres. They form part of lands that were cleared of woodland in the 1450s. Small scale farming followed. The house, a small farmstead, appears to date from the mid 1600s. There are no manicured gardens. 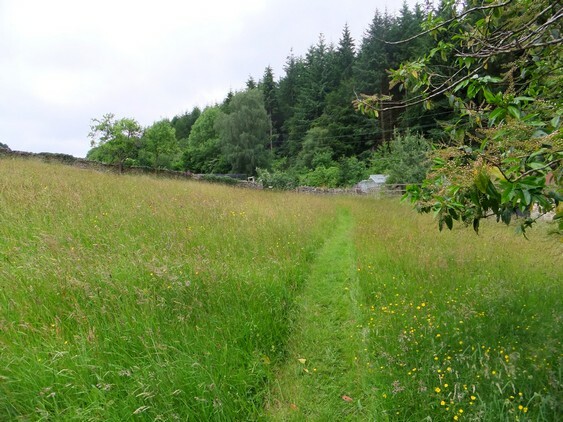 There are three meadows and they have been managed for wild flowers since 2005. About 100 species have been recorded, plus the grasses and ferns. Get-together on Saturday June 8th at Flaxley village hall from 2:00PM to 5:00PM. 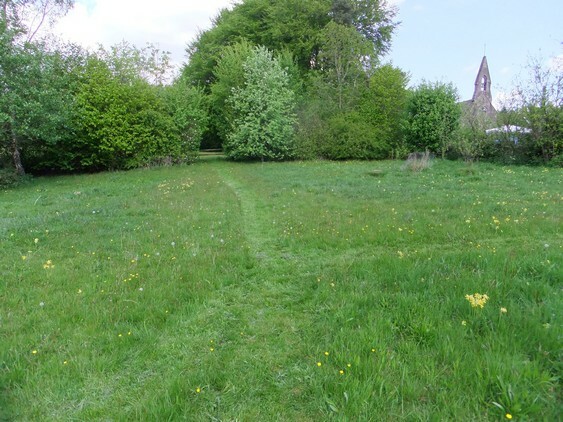 there were visits to four nearby meadows and Flaxley Church where some of the ground is being managed for wildflowers. 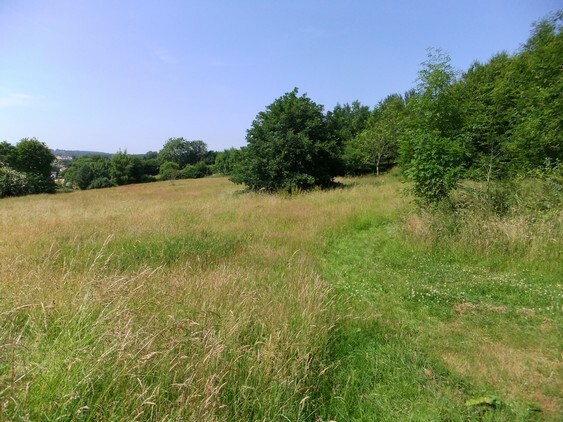 Also members were able to find other members near where they live so that they can share views and perhaps help each other with their meadows. OUR NEW LEAFLET ” GARDENING FOR A WILDFLOWER PATCH” WAS INTRODUCED AND GIVEN OUT ( this is now downloadable ). 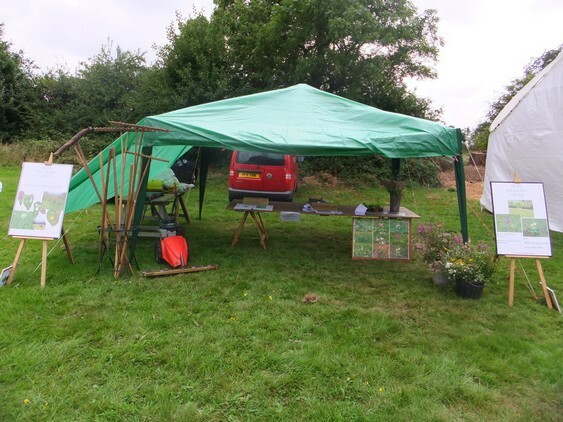 four DMG members in or near Tidenham wERE open on Saturday 25th May. Jerry Jerrum and Nigel Simpson have neighbouring properties on the Chepstow side of Tidenham Chase church. 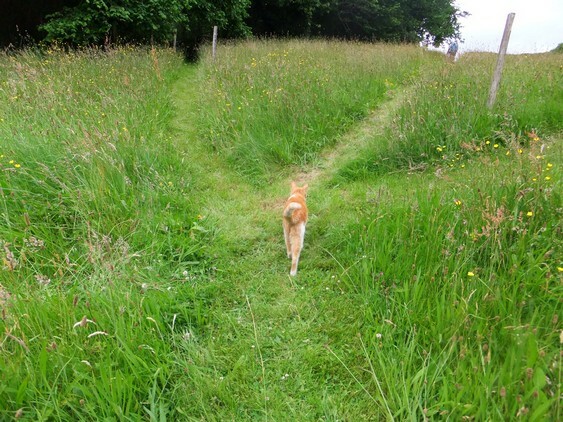 Between them they have 8 acres of very varied meadows, woods, ponds and grassland. Tim and Penny Wright at Chase End 1/2 mile nearer Chepstow. 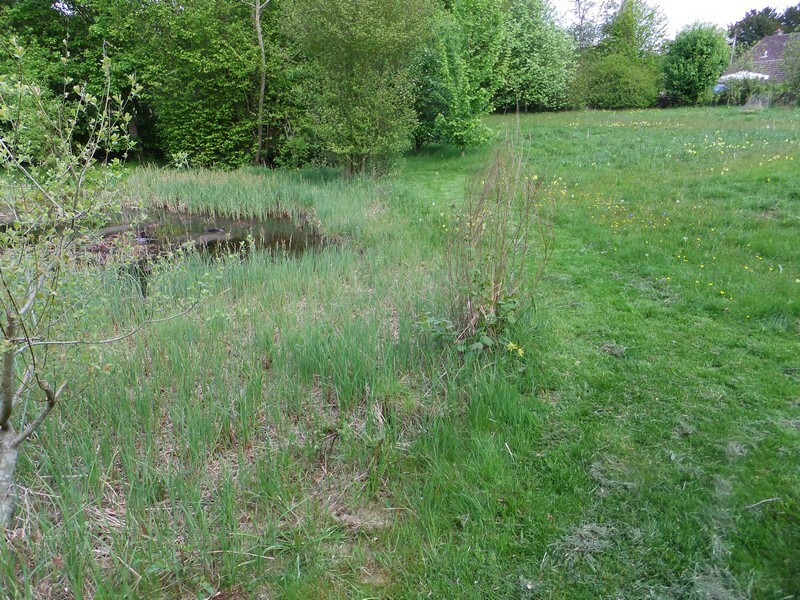 They have a long established wildlife meadow in an established garden. 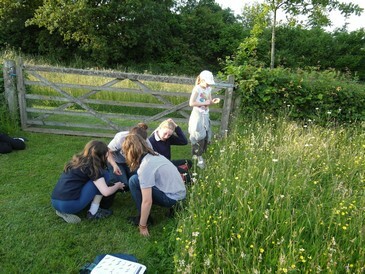 See the Meadow Survey – Tidenham on the Wildflower Meadows page of this site for a full description. Alastair and Susanna Jacks at Farthing House, Bishton Lane, between Woodcroft and Tutshill. 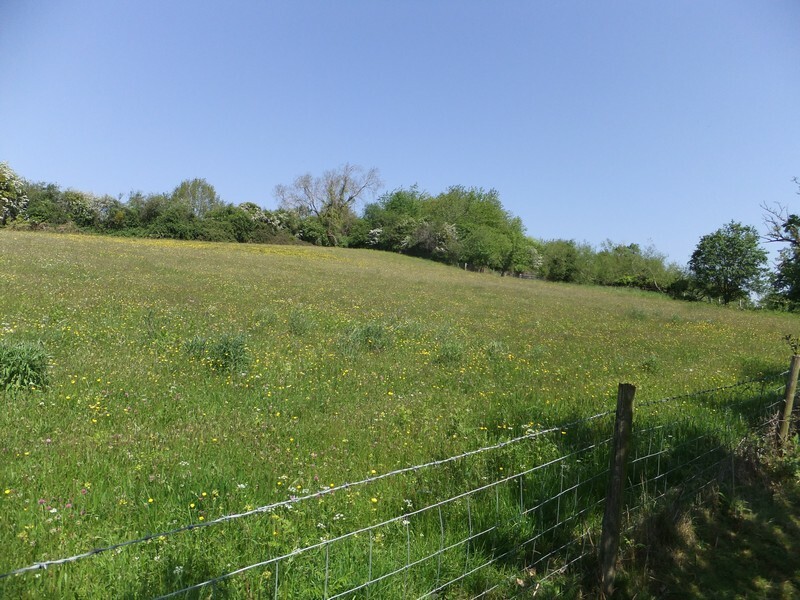 They have a lawn allowed to become a meadow for the past 21years and a field being turned into a wildlife reserve with some layed hedge, a pond, a meadow being disimproved and small orchard. We had our Spring evening meeting on Friday March 8th at the West Dean Centre in Bream with drinks, light refreshments and time for discussion and questions. The evening started with a talk by Rob Jarman who lives in the Dean. 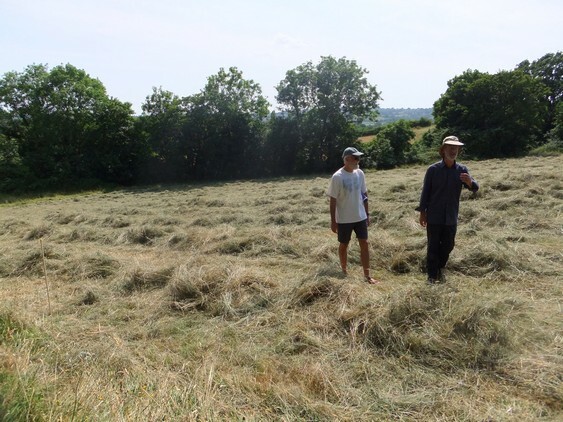 Rob Jarman is a geographer and ecologist who has worked across the UK in nature conservation and environmental protection ( Somerset Wildlife Trust in the 70s and 80s and National Trust 1986 to date). Historical ecology – linking people and place – is his main enthusiasm. His talk, “Meadows in 4-D” , covered the story of meadows over time (the 4th dimension) and the physical and natural landscape they fit into (the 3-D bit). Rob illustrated his talk by reference to his own ground and other local places.